Good value for the money. For 60€, I had a kitchenette, living room, bathtub and a bedroom with a closet. I did not try the breakfast, but it was 12.5€ for a buffet. The staff was helpful and attentive. Spacious apartment in good location. Secure parking available. Great location. Easy walking distance to all the main sights in this beautiful city. Rooms are fairly basic but functional. Adequate space. Reception staff were excellent in providing assistance. When refrigerator in our room was not working we were immediately offered another room. Great location a pleasant 10-minute walk to/from Cours Mirabeau; we walked there the morning of the market, which was astounding. The 2-room (1-bedroom) apartment was very spacious, and the queen bed in the bedroom was very comfortable. The clothes dryer rack was extra large and allowed me to dry multiple items overnight. Good location, around have many shops and supermarkets. The staff were very helpful on every occasion that I needed their assistance. The bed was very comfortable, the separate toilet was a bonus, the little kitchen just what we needed. We would certainly come back and will recommend it to friends. Located in Aix-en-Provence, at a 10-minute walk from the historical city center and a 5-minute walk from the shops on the Cours Mirabeau, Odalys City Aix en Provence L'Atrium offers self-catering studios and 1-bedroom apartments with free WiFi. 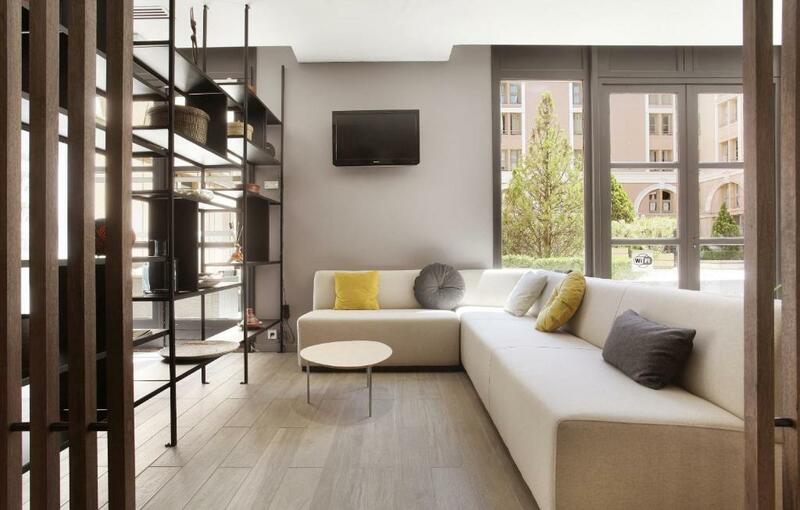 Studios and apartments offer a flat-screen TV with cable and satellite channels including Canal +. The private bathroom features a bath or a shower. The kitchenette includes a stovetop, microwave and refrigerator. A complete breakfast served in the breakfast room is available at an extra cost. 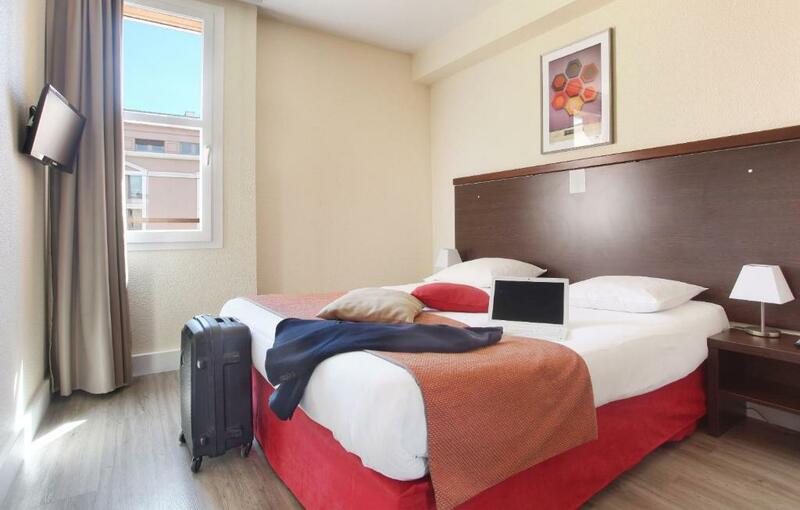 Odalys City Aix en Provence L'Atrium is a 4-minute walk from the Granet Museum and a 30-minute drive from Sainte-Victoire Mountain. Aix-en-Provence Train Station is a 10-minute walk away. 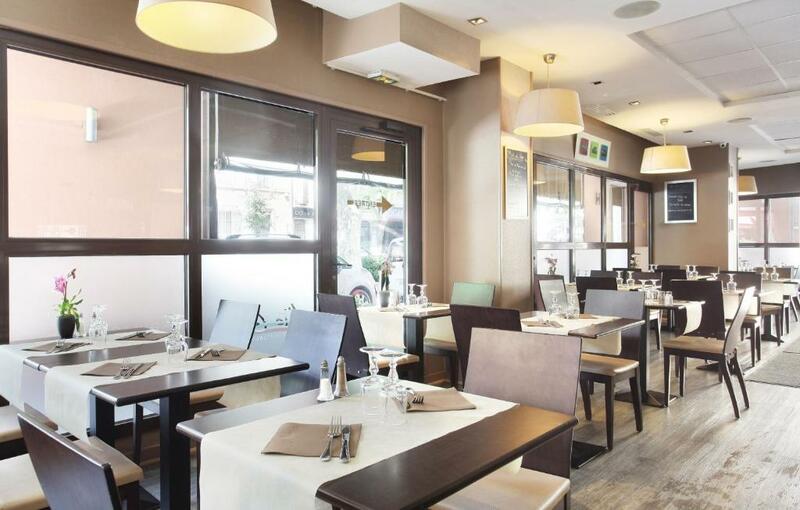 Marseille Provence Airport is a 25-minute drive from the property. Private parking is available on site at an extra fee and subject to availability. 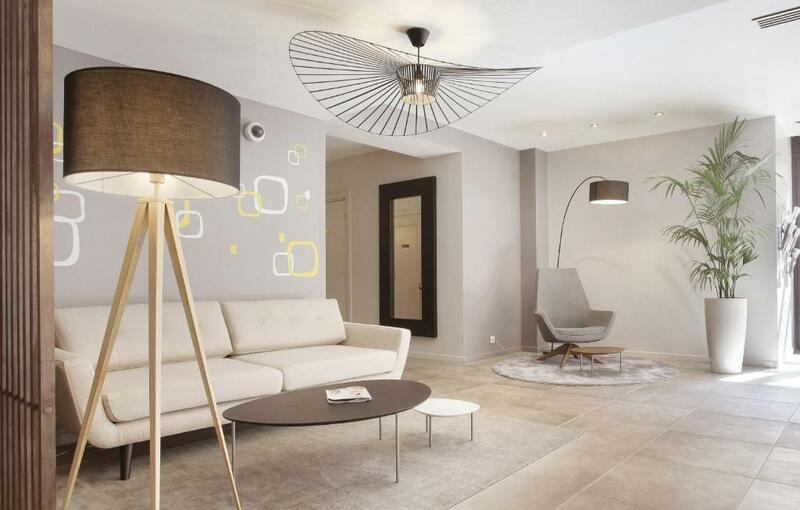 뀐 Located in the top-rated area in Aix-en-Provence, this property has an excellent location score of 8.8! 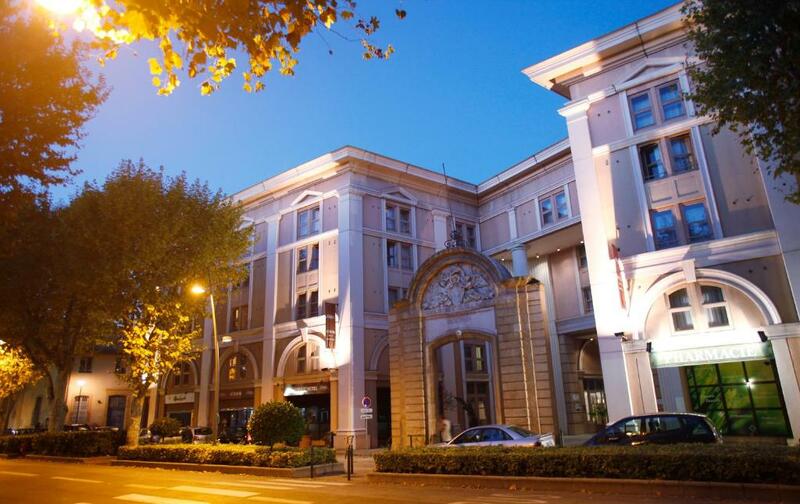 When would you like to stay at Odalys City Aix en Provence L'Atrium? These air-conditioned accommodations provide an LCD TV and a kitchenette. 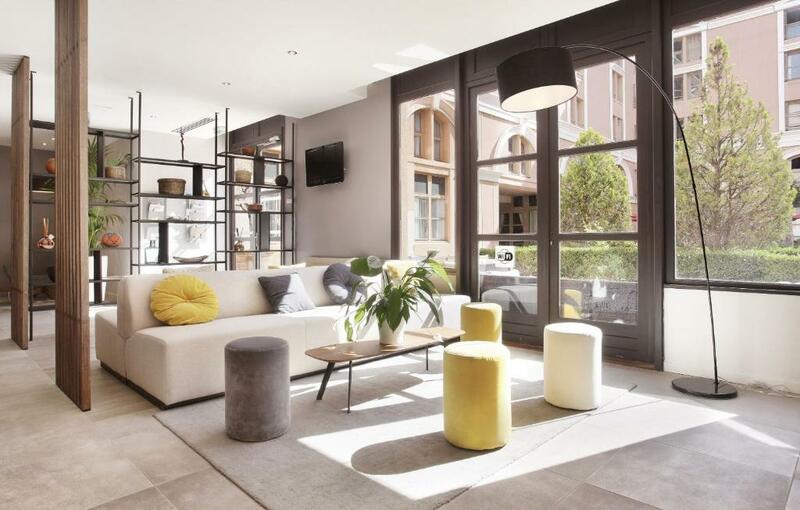 House Rules Odalys City Aix en Provence L'Atrium takes special requests – add in the next step! Odalys City Aix en Provence L&#39;Atrium accepts these cards and reserves the right to temporarily hold an amount prior to arrival. Odalys City Aix en Provence L'Atrium accepts these cards and reserves the right to temporarily hold an amount prior to arrival. A public car park is also available nearby. Additional fees apply. Daily cleaning is including for stays from 1 to 4 nights. Daily cleaning is available for an additional fee for stays from 5 to 7 nights. Weekly cleaning with a change in linen and towels is included for stays of 8 nights or more. Different policies may apply for reservations of 7 rooms or more. Please contact the property for further details. Please note that a valid credit card and a piece of photo identification must be produced upon arrival and that the names on the credit card and ID must be the same as the name on the reservation. Management reserves the right to refuse the reservation if these conditions are not respected. Great location, helpful staff and very clean .. The rooms are darker, smaller and more worn out than shown on the pictures. However, the place is great value for money. We got upgraded to an apartment by the very nice staff. Everyone was nice to our dog. The location is great. This is the place you book to be comfortable. What I mean is, you have all the service for a good price. You park the car underneath the hotel. You can walk to the city center in just a couple of minutes. Everything is nearby. The apartment has everything you could need (dishwasher, bathtub, etc.). However, it’s not really luxurious. It’s practical. So don’t expect a nice and light big apartment. But expect a convenient apartment at a great location with good service. It is a great stay when you’re traveling with your dog (10 euro per night). I would say the overall experience is neutral, not very good but also not very bad. I don't think that holding the amount of 150 EUR for two weeks on the credit card is a necessary step, especially that I do not expect the whole room equipment to be worth more than a half of this money. Location is very good, really close to the city centre. There are a few shops next to the hotel. Apartment is quite big. Room is old and not as clean as expected for a serviced apartment of a 3star. Kitchenette items provided is too basic- no sponge for basic washing of plates! Room and decor is poor/old. Bathroom is not very clean. Discharge is poor at sink and shower. At check-in they put us in an already occupied room. We literally walked into a room late at night with all our bags and people were sleeping in there. Also I read on the site that there was parking available but there wasn't when we arrived and we had to drive to a nearby public carpark. Breakfast was great. Hotel in great location as we could walk everywhere and was easy to find. The walls and/or the ceiling seemed thin as in the morning I could easily hear the steps from other rooms. Towels were wet and not 100% clean. It smelled bad in the hall where we had to wait for elevator. The location is ideal, 5min walking distance from the city center. Simple studio apartment. Everything we needed for an overnight stop.